13 people you should meet in Medora! 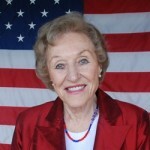 Sheila Schafer – Sheila Schafer is the heart and soul of Medora. 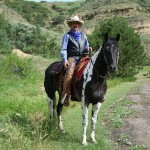 Sheila, pronounced Shy-la, and her late husband Harold are likened with rejuvenating Medora and it’s historic presence. She has been in love with Medora since she visited for the first time and we love it every time she returns. The Burning Hills Singers – This terrific group of 12 singers and dancers kick their heels up in Medora nightly for the Medora Musical. Keep an eye out, they work throughout the town of Medora during the day! Click here to meet the 2013 cast. The Coal Diggers – Banjo’s, Fiddles and Drums are what the Coal Diggers know, and boy can they play! They bring the Medora Musical to life every night with their foot stomping slapping tunes. Find out who the 2013 Coal Diggers are here! Emily Walter– Emily, otherwise known as the “Queen of the West,” is the shining star of the Medora Musical. Emily was a Burning Hills Singer from ’93 to ’95. She has performed around the world, but is returning to one of her favorite places again for the 2013 Medora Musical season! Keep an eye out for Emily strolling the charming streets of Medora during the day and shining bright on stage every night at 7:30 pm at the Burning Hills Amphitheatre. Bill Sorensen – Bill has worn many hats, mayor of Bismarck, Manager of 3 time world champion Virgil Hill, State Legislator, and now Medora Musical Co-Host, just to name a few. Bill who produced the 4M Revue has filled visitors of Medora with laughter for almost 30 years! Now for the first time, Bill will be joining the Burning Hills Singers on stage at the Medora Musical! Randy Hatzenbuhler – Randy is the President of the Theodore Roosevelt Medora Foundation, but prefers the title of Chief Popcorn Seller at the Medora Musical. Randy spends his summer on the streets of Medora, usually on his bike. 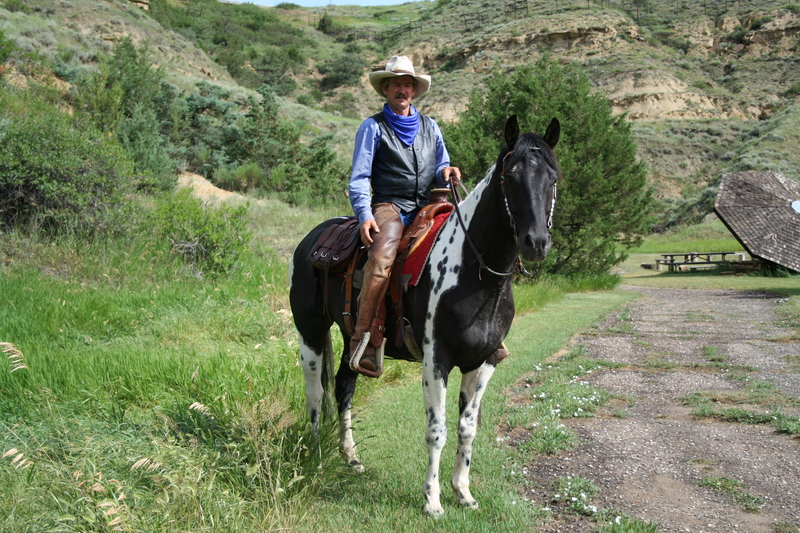 If you spot Randy, be sure to stop and tell him the story of why you adore Medora! Joe Weigand – Joe has performed the role of Theodore Roosevelt nationally, including a White House appearance in celebration of Theodore Roosevelt’s 150th birthday. Joe can be found performing A TR Salute to Medora Monday through Saturdays at 3:30 at the Old Town Hall Theater from June 3 through June 28 and July 8 through September 7. Cowboy Matt – Relive the scenes of Gunsmoke, and ride the American West! He will give you the backstage tour of North Dakota’s majestic Badlands. Find Cowboy Matt and his dusty gang at the Medora Riding Stables. Park Rangers – You can easily spot a Park Ranger for the Theodore Roosevelt National Park by their forest green uniforms! They can answer all of your questions on wildlife, history, hiking, biking, horseback riding, safety and much more. Stop by the park’s Visitor Center to find out more awesome information about Theodore Roosevelt National Park! Leona Odermann – Leona is one of Medora’s finest! You will find her at the Billings County Museum or on the end of the line if you call Medora Information. If you have a question about Medora, just ask her and she will point you in the right direction! Volunteers – Whether they are here for for two weeks or for the entire season, our hard working volunteers stay in Medora’s heart forever. We would like to extend a special thank you for all that our volunteers do. You can find them at the Medora Mini Golf Course, Pitchfork Steak Fondue, Medora Musical and many more places around town. Make sure to check their nametags for their hometown city, you never know who you might meet. Cowboy Lyle – Cowboy Lyle is a Medora favorite! Lyle raises the flags every morning and takes them down every night. He is usually found snapping pictures of wildlife in the Theodore Roosevelt National Park or sitting in front of the Badlands Pizza Parlor! Grab a picture with him to take home a wonderful Medora memory. Paul at Cowboy Lyle’s Candy Store – Do you love candy? Paul is your man! Visit Cowboy Lyle’s Candy and say hi to Paul. He is sure to brighten your day! Meet the 2013 Co- Hosts of the Medora Musical! Paul’s my daddy! Way to go Paul!